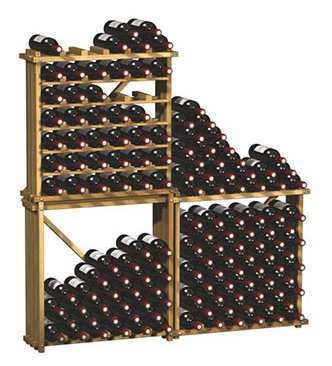 Choose from single bottle racking or bulk stacking. Made from Solid Beech Timber. Modular system allows display of any size. EuroCave Modulocube is the only wine racking system that allows you to easily change between single bottle racking and bulk stacking. Select a shelf-free Modulocube to stack up to 50 bottles, full shelving for easy access to individual bottles, or a combination of both. 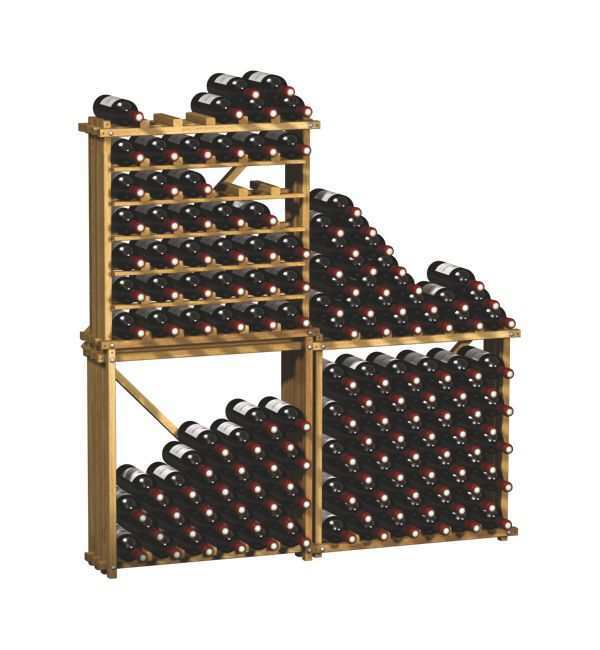 Frame can be used without shelves to stack wine or fitted with shelves for easy access to bottles. Fixes to wall for stability. Shelf-free frames store up to 50 bottles. Frames with shelves installed store up to 36 bottles. Multiple frames can be connected together. Flat packed, ready for DIY assembly.